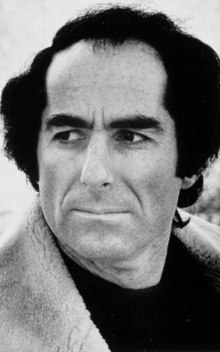 Philip Milton Roth (March 19, 1933 – May 22, 2018) was an American novelist and short-story writer. Roth's fiction, regularly set in his birthplace of Newark, New Jersey, is known for its intensely autobiographical character, for philosophically and formally blurring the distinction between reality and fiction, for its "sensual, ingenious style" and for its provocative explorations of American identity.Roth first gained attention with the 1959 novella Goodbye, Columbus, for which he received the U.S. National Book Award for Fiction. With the draft, everybody was involved. Everybody was fodder. When you got to be 21, 22 and graduated from college, for two years your life stopped. If you had been running in the direction of your life, you had to stop and do this other thing which was, if not menacing, just plain boring. A writer has to be driven crazy to help him to see. A writer needs his poisons.